What benefits have buyers noted in their reviews for this Kona Splice 29er? As this model is labelled a mountain bike, the big question for many users is how well can it handle the trails and hills. User testimonials suggest that it is more than capable on your more standard country trails, with people agreeing that the use of 24 gears does help them tackle steep assents with ease and also commenting on the speed they can achieve when going downhill. There is the sense that this Kona Splice 29er Mountain Bike generally makes things easier for users no matter where they are and this is also seen in the use of Geax Evolution 29×1.9 tyres for both road and off-road riding. In addition to this, there is also praise for the light weight, general comfort during the ride and the bike’s adjustability. While this talk of gears and climbs makes it sound like a fantastic mountain bike, there are some buyers warning other riders about how much they should really expect. What are the potential downsides to buying this Kona Splice 29er Mountain Bike? It is easy to focus on the extreme side of a sales pitch and the high-end feel of the specification and overlook the term “entry level” that both Kona and their consumers are keen to use. Some have marked the product down for not being the full-on mountain bike that it could be and raised concerns about its performance on really tough terrain. The promise from the makers is that this is “ideally suited” for both commutes and “perhaps the occasional trip on the local trails”. The use of ‘occasional’ and ‘local’ immediately highlights the limitations here and the focus on commutes cements the idea that this 29er is more of a hybrid than a pure mountain bike. Summary: who is this Kona Splice 29er Hardtail Mountain Bike best suited for? As long as you don’t push this bike too far and bear in mind that it is as much a road bike as it is a mountain bike, you should be pretty pleased with the way that it handles itself on a more gentle ride and appreciate its versatility instead of noticing its limitations. 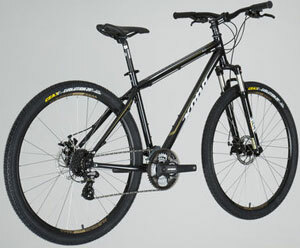 This Kona bike is called an “entry-level” mountain bike with good reason and it is not a negative term because simpler trails are handled with ease, new riders are given an enjoyable experience and there is the bonus of the handling on roads to really make this bike an interesting and reliable choice. 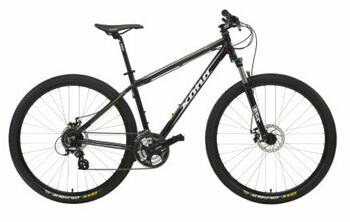 You can check out more customer reviews about the Kona Splice 29er Mountain Bike at Wiggle here.